Having a challenge getting students to understand MAPS and Common Core vocabulary? 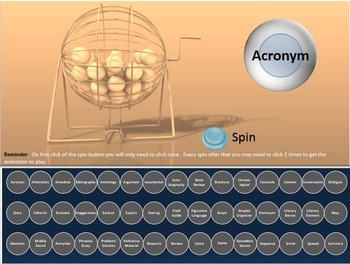 This game WILL help your students succeed! 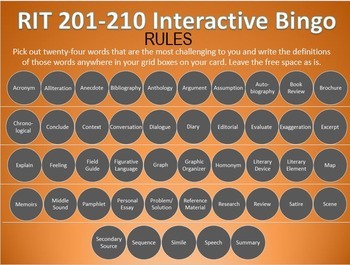 Words from NWEA MAPs RIT 211-220 were cross-referenced with the Common Core and put into an interactive Power Point Bingo game that you can play with your whole class. 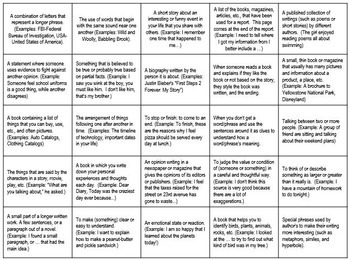 If you purchased the MAP Quizzes, Teacher-Student Tracker, Student Self-Assessment sheet (Not Included with this product) you can have students assess their learning with each word while they play this game.